SAP Lumira is a visual intelligence tool used for visualizing data and creating stories to provide graphical details of the data. In Lumira, data is entered as dataset and filters, hierarchies, and columns are applied to prepare documents. Various charts like Bar charts, Pie charts, etc. can be chosen to visualize the data effectively. 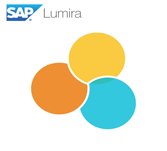 In this tutorial, we will discuss on how to use SAP Lumira. SAP Lumira is useful for Business Analysts who can alter data structures and correlations in in a way they want. They can create data visualizations and stories from multiple data sources. SAP Lumira helps to adapt data to organizational needs for creating stories with visualizations. Before proceeding with this tutorial, users should be aware of the basics of SAP HANA. If you don’t have knowledge on SAP HANA, then we suggest you to first go through our short tutorial on SAP HANA.